This article is my personal story and memory of my own involvement in this giant field discovery in the aleady mature Maracaibo basin. As well as a tribute to the smart, young and bold discovery team of Meneven, under leadership of my dear friend Diego Funes, in Lagunillas, Zulia. The real, hidden and not yet published exciting story behind the scenes of this important discovery. A tribute to the real, authentic and original discoverers of the giant Ceuta field in 1981. Located in the classic Maracaibo basin, State of Zulia, western Venezuela, South America. Ceuta, one of the different giant field discoveries where I was lucky to be on the spot and where I could assist and participate during my career. I was so fortunate to be able to deliver as integral part of the brand new discovery team of 10 explorers. Therefore I know the background and details that I wish to share with you. Hopefully this history will benefit and motivate you in your own both marvelous and tortuous career as an explorationist. Ceuta – Tomoporo is one of the ” Giant Oil and Gas Fields of the Decade 1978 – 1988 “. Described in AAPG Memoir 54, 1992, Editor Michel T. Halbouty, ISBN: 0-89181-333-0. Chapter 11, Ceuta-Tomoporo Field, Venezuela, page 163 – 173. The first 3 maps (Figs. 2,3,4) are taken from this publication. The original field documents of S.A. Meneven (former Gulf Oil), Filial de PDVSA, that led to the Ceuta discovery are included as figures 5 – 9. The field was found by the small, young and very competitive field Exploration team of Meneven, Affiliate of PDVSA, in Lagunillas, sector Campo Alegre. Main credit of the discovery goes to exploration manager Diego Funes. A very energetic, inspiring, clever, pragmatic, down-to-earth, astute geologist and proven oil finder. The youngest superintendent and senior manager of Meneven, just in his early thirty. He studied earth sciences in Venezuela and France. The small Exploration team consisted of 10 professionals, mainly geologists (7), geophysicists (3) and technicians (2). The exploration landscape and tools available in 1981 to find a giant field ? Back in 1981 present day sophisticated geological-geophysical workstations, laptops, tablets, iPadPro’s and iPhonesSE’s etc. etc. did not exist and were still patiently waiting to be invented. Steve Jobs was 26 years old then and had just founded Apple Computer on January 3, 1977. IBM on 12 august 1981 had presented its first PC, 5150 IBM. And on 22 July 1975 Microsoft of Bill Gates was born. A Casio or Hewlett-Packard graphic scientific calculator was the most sophisticated tool available, proud to have, similar to your iPadPro nowadays. This was for example used for time-depth conversion purposes and for petrophysical So, Sw, Rt calculations. The brand new fax, thrilling high tech, was used to sent the daily drilling reports to the head office in Caracas. Now already obsolete, say fossilised and not even accepted in the recycle shops in the Netherlands. Seismic interpretation was mainly 2D and done manually on paper sections, by drawing the reflectors and faults with sharp pencils. Correlating the seismic reflectors and sections was realised using the hands by folding, comparing and matching them. Both seismic time, depth, fault maps as well as geological maps, contours and well correlations were all drawn by hand and with manual interpolations. First a draft or sketch version handmade by the geophysicist and geologist themselves that was subsequently upgraded and finished in the drawing department. 3D seismic was still in its infancy and not yet commonly applied on a big scale. 3D geological cartoons and reservoir models were drawn by hand using well log prints, correlations and educated-guess subsurface concepts and above all, imagination. The traditional Ceuta – West field was one of the crown jewels of Meneven, with a production of some 100,000 barrels/day of mainly light high quality oil. Only one dry hole had previously been drilled on the east flank of the Ceuta field and anticline, where later in 1981 the discovery was made. This dry hole encountered very low porosities in the reservoir section. This was one of the main reasons why exploration in this area was previously postponed. Or virtually abandoned for an extended time by Meneven (forme Gulf Oil affiliate) before being nationalised on January 1, 1976. For the young and new Meneven exploration team in 1980, just one dry hole was not a convincing argument to neglect exploration in the eastern flank. It was decided to initially locate two exploration well in this area. Both turned out to be discovery wells yielding a tremendous 3100 – 4500 barrels of light oil on production. These two wells are the official discovery wells of the Ceuta (-Tomoporo) field. The giant field in the mature Maracaibo basin, that had been patiently waiting to be unveiled. On one’s doorstep, a few kilometres away, most efficiently overlooked, neglected and by-passed by already generations of clever, seasoned explorationists. Sixty seven (67) years after the first commercial well of Maracaibo Basin, located in the vicinity, well Zumaque-1 in 1914, finally unveiled. The Tomoporo area to the south east was then not yet extensively explored. Meneven was license holder of a small block (Bloque 80) to the south of Ceuta and close to the discovery wells..
Based on our 2 successful wells Diego Funes asked me to study this area in more detail. This as Meneven, Lagunillas Field Exploration Department, proceeded with a plan and bid report to obtain the still open and promising area assigned from PDVSA headoffices, for further exploration. In 1983, after the discovery, however crown jewel Ceuta area was assigned to affiliate Maraven (former Shell). In a major reshuffle to realign the different areas and licenses puzzle, a heritage from the former multinational firms. Licenses were regrouped to improve efficiency and economies of scale. About adding substantial value and sustained cash flow, for shareholders and stakeholders ?? Some 100 billion US$ gross value. The traditional Ceuta field had 638 MMSTB of ultimate recoverable (proven) reserves. The new discoveries have added 764 MMSTB (as of December 1990). Defined prospects total 340 MMSTB light oil. Totalling 1740 MMSTB for the Ceuta – Tomoporo giant field, with a gross value of some 90 billion US$. Higher reserve figures of 3065 MMBBls have been indicated, that would represent some 150 billion US$ gross value (1990, Classic Petroleum Provinces, Geological Society Special Publication No. 50, Editor J.Brooks, 1990, New oil discoveries in the Ceuta area, SE Lake Maracaibo, Venezuela,page 77 – 88). My musings, questions and lessons learned about exploration and finding giant fields, in retrospect some 4 decades later? This discovery was made with handcrafted geological and geophysical interpretations and maps. Without all the sophisticated tools now so common and available to all the geoscientists. But. How many additional giant fields have been found in Maracaibo basin and Venezuela since 1981 by using high tech? How many proven reserves have been added? How much was the quantified proven and added value of having used high tech ? How many present day high level geoscientist experts could make a giant field discovery with only their own handcrafted and handdrafted geophysical time and depth maps and geological and reservoir maps? With 2D seismic lines from 1977 ? Without fading or getting blasted away by the strong ammonia odour permeating from the old time printed seismic sections. With just a beautiful set of 6 colour pencils, a pencil sharpener, two eraser, a tiger claw for interpolations, a mini broom, a blank map. Nothing more, nothing less. That’s it. If you like it or not. Just 12 poor boy items. Exploration tools totaling a value of only some 5 US$. But accompanied by an unconstrained and uninhibited exploration mindset and attitude as tools, and…… ?? Without the whole Landmark E&P software suite. With solutions for Exploration Insights, Geosciences, Geomechanics, Reservoir Management, Drilling, Production, Economics and Information Management ? Without Oracle Crystal Ball, to safely execute the predictive modelling, forecasting, simulation and optimisation. Claiming to give explorationists unparalleled insight into the critical factors affecting risk? Without Questor, for concept screening, project modelling, cost analysis, estimators for the pre-FEED stages of field development planning, evaluation and decision support? Without BasinMod 2-D Platte River Associates, software for dynamic geologic conditions modelling within a petroleum system? Without the business valuation software tools. To calculate the capitalised excess earnings, discounted cash flow, market comps, multiple of discretionary earnings, net present value, cash flow, deal structuring tools ? Such as for your farm-ins, farm-outs, new (ad)ventures, mergers, acquisitions? Without IHS Markit, Energy and Natural Resources, Vantage, Kingdom Seismic and Geologic Interpretation Software, Geoscience Solutions, Harmony and Harmony Enterprise, Global Gas, Petra Geologic Interpretation Software, Questor O&G Capex/Opex cost estimation software, Petrodata Product Suite; Financial Services, Consulting, Technology ? Myself, (un? )fortunately, I had to go, crack my poor brains, crawl, get almost drowned, surf upon and try to understand, master and integrate a fair part of above mentioned software. Bottoms-up, hands-on, buttons-up and buttons-down, in the last 4 decades. But, how much technology and software do you really need nowadays as a geoscientist to be a successful added value explorer and oil finder? Is it determined by her/his virtuosity of being able to choose and toggle with high speed on some 10,000 options and buttons in these energy related programs. Where you can conveniently press on, to get a hardcopy answer. Mostly without even understanding remotely what the software in the black box is doing to deliver the desired and correct answer ? It certainly helps a great deal, but….? The greatest explorer of this universe ??? All his articles and superb calculations on general relativity, were done by using only his undersized brain. 1,230 Grams instead of the average of 1,400 grams. But with a much greater density of connected neurons as the deep grove that normally divides the parietal cortex was absent, thus merging two remote areas and increasing connectivity in this area. By writing his thoughts and findings with his left hand on blank paper. With his fountain pen. The Waterman 22 Taper-Cap, vintage fountain pen. This pen was left as a gift to his dear friend Ehrenfest in Leiden, where he was a regular guest, professor and guest professor in the period 1911 – 1933. This pen is exposed in the Museum Boerhave, Leiden, the Netherlands. Just four (4) exploration tools. Own brains, left hand, blank paper, fountain pen. The comprehensive, maybe some 100+++ gigabyte, software suite for his imagination and theory was embedded in the undersized brains of this grand genius. In retrospect, what is most critical for exploration and discovering oil and gas ? The answer, my friend……..is imagination. The rest is ” Blowin’ in the Wind “…. As the lyrics of the iconic song, dated april 1962. Of Nobel Prize Literature winner 2016. Awarded with the coveted prize during a jovial, champagne-laced ceremony on a Saturday. At a secret location in Stockholm, before his first concert stopover, on his long-planned European tour. Sabrosos recuerdos de Mara Caibo, las Mara Cuchas, los Mara Cuchos, la Virgen de Chiquinquira, Estado Zulia etc. etc. etc. ? Enjoy, doei, salut, ciao, ate logo, grussen, tan bun ala mala, tur kos bon mi hendenán na mi dushi Korsow, como estai vos priiimo, que molleja, muchos saludos. Figure 1: Ceuta – Tomoporo is one of the ” Giant Oil and Gas Fields of the Decade 1978 – 1988 “. Described in AAPG Memoir 54, 1992, Editor Michel T. Halbouty, ISBN: 0-89181-333-0. Chapter 11, Ceuta-Tomoporo Field, Venezuela, page 163 – 173. The first 3 maps (Figs. 2,3,4) are taken from this publication. Well 693 (Maraven Well VLG-693 – originally Meneven Well location E-CKK aj, 1981). Discovered new oil accumulations to the east of the traditional Ceuta field, in an area bounded by an important normal fault to the north. It had an initial production rate of 3100 BOPD from the lower “B” Eocene sandstones. Well 707 (Maraven Well VLG-707 – originally Meneven Well location E-CNK aj, 1981) produced 4500 BOPD. Fig. 5: Meneven, Filial de Petroleos de Venezuela. Distrito Lagunillas. Departamento de Exploracion. Programa Exploratorio Perforacion 1981 (complemento). Fig. 6: Meneven’s exploration program 1981 consisted of 15 exploration wells. The 2 discovery wells of Meneven were CKK aj (renamed as VLG-3693 by Maraven). And E-CNK aj (renamed VLG – 3707 by Maraven). Fig. 7: Meneven’s 1981 exploration program of 15 wells.They were expected to increase proven reserves to 100.2 MMBLS. Ceuta – Tomoporo with the following discoveries appears to contain 1740 MMSTB (1990), some 17X more that in 1981. Fig. 8: Meneven, Filial de Petroleos de Venezuela. Distrito Lagunillas. Departamento de EXploracion. Programa Exploratorio 1981. 8. Guyana. Oil Curse. How to prevent. ” Good geology has led to bad politics, according to M.L. Ross “. Since the beginning of my career in oil industry 4 decades ago, I was struck and at the same time intrigued by the paradox and co-existance of extreme wealth and poverty, in oil rich Venezuela. And later also in different other oil-rich countries where I have worked. Since then I have been very interested in reading and analysing the causes of this phenomenon, that is more so a rule than an exception. It is the devil’s excrement. We are drowning in the devil’s excrement, Juan Pablo Pérez Alfonso, former Venezuelan oil minister, founder of OPEC. King Idris of Libya, on being told that a US consortium had found oil. Since 1980, the developing world has become wealthier, more democratic, and more peaceful. Yet this is only true for countries without oil. The oil states, scattered across the Middle east, Africa, Latin america, and Asia, are no wealthier, or more democratic or peaceful, than they were three decades ago. Some are worse off. From 1980 to 2006, per capita incomes fell 6 percent in Venezuela, 45 percent in Gabon, and 85 percent in Iraq. Many oil producers, like Algeria, Angola, Colombia, Nigeria, Sudan, and again, Iraq, have been scarred by decades of civil war. These political and economic ailments constitute what is called the resource curse. It is more accurately a mineral curse, since these maladies are not caused by other kinds of natural resources, like forests, fresh water, or fertile cropland. Among minerals, petroleum, which accounts for more than 90 percent of the world’s minerals trade, produces the largest problems for the greatest number of countries. The resource curse is overwhelmingly an oil curse. Before 1980 there was little evidence of a resource curse. In the developing world, the oil states were just as likely as the non-oil states to have authoritarian governments and suffer from civil wars. Today, the oil states are 50 percent more likely to be ruled by autocrats and more than twice as likely to have civil wars as the non-oil states. They are also more secretive, more financially volatile, and provide women with fewer economic and political oportunities. Since 1980, good geology has led to bad politics. The most troubling effects of this scourge are found in the Middle East. The region holds more than half of the world’s proven oil re- serves. It also lags far behind the rest of the world in progress toward democracy, gender equality, and economic reforms. Much of its petroleum wealth lies beneath countries plagued by decades of civil war, like Iraq, Iran, and Algeria. Many observers blame the region’s maladies on its Islamic traditions or colonial heritage. In fact, petroleum wealth is at the root of many of the Middle East’s economic, social, and political ailments and presents formidable challenges for the region’s democratic reformers. Not all states with oil are susceptible to the curse. Countries like Norway, Canada, the Netherlands and Great Britain, which have high incomes, diversified economies, and strong democratic institutions, have extracted lots of oil and had few ill effects. The United States, which for much of its history has been both the world’s leading oil producer and the world’s leading oil consumer, has also been an exception in most ways. those countries with the most urgent needs are also the least likely to benefit from their own geologic endowment. Guyana’s history in 2040, in retrospect. ” The resource curse was not supposed to happen…..”??? Having joined the prosperous league of exceptions ? Such as The Netherlands, Norway, Canada, Great Britain, USA ? Still a very, very, very long way to go. This given the present day Country SWOT characteristics: Social, socio-political, legal-judiciary etc. etc. To become Oil-Curse-Proof and Dutch-Disease-Proof ? Observations of how to become a country without the oil curse ? From analysing oil countries that I have visited myself, with few ill effects? Hundiendonos en el excremento del diablo. Juan Pablo Perez Alfonso, Editorial Lisbona 1976, Caracas. The security landscape in Guyana may very well change within the coming three years before, and immediately after, oil starts coming out of the ground. Adjusted security landscape in a country is saidto be a common spin-off of the presence of big oil companies in developing countries around the world. Dr. Kennedy Mkutu, an associate professor of the United States International University Africa, spoke about this phenomenon yesterday. Dr. Mkutu was one of the facilitators at the just concluded “Oil Curse and its Prevention” symposium that was hosted by the Caribbean Institute of Forensic Accounting (CIFA) and the Guyana Oil and Gas Association (GOGA). At that forum, Dr. Mkutu delivered a presentation that focused on security governance and the extractive industry in Turkana – the second largest and northwesternmost County in Kenya – looking at how the presence of oil raises new challenges in terms of policing and private security industry, gun control and community security. That presentation was extensive. Dr. Mkutu spoke about resource abundance being a strong predictor of incidence of civil war. The resource curse at the local level, governance problems and the need for proper legal landscape were also topics that Dr. Mkutu touched on during his presentation, and so were security governance and the dwelling of security firms in resource- rich countries. During an interview after his presentation, Dr. Mkutu explained why the security landscape of a country often changes with the coming of oil. He said that many oil companies usually import their own security to guard the commodity. “How do countries monitor this (private security, guns, etc., that are in the country)?” he asked. Dr. Mkutu said that oil companies often say that the police forces and private security firms in certain countries may not be enough, or may not have the level of expertise that they require. “They usually say that they want security companies that they trust and that they think are competent,” said Dr. Mkutu. “So what do they do? They bring their own guys.” He said that the importation of security personnel can have several spin-off effects, one being an outcry from local security firms. “They (local security firms) might say, what about us? We have been sidelined, we have been bypassed. How does a country deal with these issues? Most Guyanese by now have been convinced, by some revelation or other, that they are living in a corrupt society where most of the major institutions are woefully corrupt. There are some institutions that fare better than others in terms of corruption, but in the view of the man-in-the-street, the overwhelming consensus is that many individuals responsible for large financial undertakings are choking with the gains of corruption, which has become a norm in society. Corruption is all around us; it is endemic and it is a major concern. Many of us have concluded that it near impossible to totally eradicate it. Corruption seems to be the fuel of the nation. A corrupt mindset is embedded in almost every level of society, from those who offer bribes for favors that they would not have obtained under normal circumstances to those public officials who will accept the bribes to fast-track or give consent to a decision on behalf of those who pay the bribes. The familiar mantra from vote-seeking politicians is that if elected to office, they would stamp out corruption which they stress, continues to stifle the nation’s economic growth and prosperity. As purportedly the major beneficiary of corruption in the country, the last political directorate did not put in place the necessary measures to curb this scourge. Two years ago, the APNU+AFC coalition came to office with the promise to put in place laws to stamp out corruption and although such laws have been passed, corruption continues unabated because some still find ways to beat the system and there is not much the government can do. While many have accused the last administration of corruption, they also believe that the beneficiaries of the largesse that flows from corruption are still at the senior levels. The people have had enough platitudes from various administrations in the past regarding their attempts to reduce corruption; now they want to see results. The government cannot end or fully reduce corruption by itself. It needs help from the public and all stakeholders to substantially reduce corruption and severely punish those found culpable of corrupt practices. While it is in the interest of the government to robustly fight corruption, it is the opinion of many that the administration is just giving lip service to it. We are living in a country that is perennially compromised by rampant dishonesty. For over a decade, corruption became entrenched in our culture and society, it was actually instituted in the country as a way of governance during the tenure prior to the last election. The current government seems to be setting its own time table and is moving slowly to get there. However, there are few complaints about corruption in this administration, because it seems that no one is listening or are turning a blind eye to it. When in opposition, the APNU+AFC coalition’s parties complained bitterly about corruption and were very passionate about wiping it out. But now in office, they seem to have lost their fearless zeal to even speak out against corruption because they have realized that it is even more widespread than they could have imagined. Further, there appears to be a weakening of the safeguards to prevent the political interference and manipulation of prosecutorial authority which is vested with the power to act against offenders of corruption. The government will stand tall if it ensures that these officials are following the laws and duly prosecute those who are found culpable. Allowing them to do their jobs independently and without political interference is not enough. The last administration did nothing about corruption. It maybe was too rewarding. Corruption is an evil that will sink the country. In Guyana, corruption has become a culture, despite the talk and all the promises to weed it out. Almost every day, there are stories in the news about corruption and so far, only a few have been prosecuted. Corruption is the abuse of public office for private gain. It should not be taken lightly, but it was under the last administration. Its implications are profound and wide-ranging in that it has spread to all spheres in society. It continues to destroy the psyche of the people andis jeopardizing the prospects for economic growth and human development. It has undermined confidence and trust in the country. There is a sense of resignation on the part of the people as this cancerous disease continues unabated. Corruption is no longer a perception as the PPP had claimed; it is real. It exists in all levels of society among people and institutions. The bribers are usually the people who offer kick-backs to politicians, law enforcement and public servants in order to avoid being prosecuted, obtain contracts, or receive benefits. Corruption has thrived in Guyana because many have become wealthy andgovernments have turned a blind eye to it. Corruption is not only a political problem, it is a social disease, and while accusations are made from both sides of the political divide, the cancer is spreading. But there was a time just a few years ago when the average citizen in Guyana did not believe that corruption was a major problem in the country. The public had confidence in the integrity of public servants and persons in positions of public trust. Many believed that corruption or the misappropriated of public funds for personal gain was an issue for other Caribbean countries and not Guyana. It was only during elections that one would hear politicians accuse their opponents of being corrupt, but they hardly even provided evidence to substantiate their claims. While such allegations may have influenced some voters, no high profile person was ever charged and prosecuted. However, there has been corruption in Guyana for years. During the last fifteen years of PPP rule, corruption was so rampant that it was brought to the forefront of discussion by the public. In the last year, several audit reports have shown that there was massive corruption under the last administration in both the private and the public sectors. The bribers are usually the people from the private sector and the recipients are those in the public sector. There are many types of corruption, but the most common involves kickbacks from the granting of government contracts to contractors. Another is the offer of bribes to ease the difficulty in doing business. There have been several documented cases of corrupt practices by senior public officials in the last government, but because of political patronage, they were not fired. In fact, they did not even raise an eyebrow because everyone was doing it, and also the misguided notion that corruption does not kill. The truth is corruption does kill, and it is a death that lingers on the economy and affects the people, especially the poor. The government, when in opposition had promised to weed out corruption if elected to office. Now after eighteen months at the helm of the government, it has not delivered on its promise, and even though there is a firm commitment to do so, it has not happened despite the audit reports. Being transparent and accountable could go a long way towards reducing corruption. Interestingly, the tables have been reversed as the government is now being accused of corruption by the opposition in much the same way it had accused the opposition prior to the May 2015 election. It is about time the government delivers on its promise to end corruption.It would be in the country’s best interest and would bolster its own credibility It will be unfortunate if it does not. 4) Can we overcome our ethnic insecurities and heal our historic wounds of race hate and oppression? Today (Tuesday 5 May 2009) marks the 171st Anniversary of Indians arriving in Guyana in the year 1838. May all Guyanese celebrate this important milestone in our rich racial heritage. May all Guyanese use this day to reflect on who we are, what we are as a Nation state in 2009 and where have we arrived in our history? To our Indian brothers and sisters, you have indeed made mighty contributions to the making of our Nation. With icons such as Doctor Yesu Persaud, entrepreneur par excellence, social activist, humanitarian and cultural leader, who only this weekend gave the welcome remarks for the 26th consecutive year for the show Nrityageet 30 at the National Cultural Centre, there is much to be proud of. Some Guyanese will become involved in the spurious debate that Tuesday is Arrival Day and not Indian Arrival Day. Yes indeed. Chinese, Portuguese and others were brought to Guyana and history bears a distinct date for their arrival, although these two groups have decided not to commemorate their arrival dates. As Guyanese, we need to move beyond the politics of the day and use Arrival Day to understand we are a nation of many cultures and races. Our Motto of “One People, One Nation, One destiny” is a dream deferred for all of us and a nightmare for many Guyanese citizens. Perhaps, we should have had a motto that stated “Out of Many, One Nation”. Many African Guyanese do not pay much attention to the significance of Arrival day. Perhaps it is because captured Africans were savagely brought to Guyana 180 years before Indians. African Guyanese tend to more celebrate August 1 as Emancipation Day and October 12 as African Arrival Day or African Holocaust Day because slavery was a nuclear bomb that destroyed Africa and its advanced civilizations. African Holocaust Day is commemorated on 12 October because it was on this day in 1492; Columbus arrived in the region, signaling the unbridled decimation of indigenous cultures and peoples throughout the world. So where have we as Guyanese ‘arrived” on this 171st Anniversary? Today, as over the last decades, we are a divided Nation. The most telling paragraph in the United Nations Expert Gay McDougall’s Report has been completely ignored by all. This paragraph in her report tells us all we need to know about the state of the Nation in 2009. “Ethnically based divisions and politics have created two separate and conflicting narratives and perceptions of reality in Guyana. On the part of the Afro-Guyanese, there is a widely held belief that they are discriminated against by an Indian-dominated and supported government that puts Indian interests to the fore, particularly in resource allocation, government contracts and employment. As recorded, Indian Guyanese believe that the PNC, if in power, would settle political scores and work solely in the interests of Afro-Guyanese. This observation indicates Indo Guyanese believe the current government is still settling political scores and is working primarily in the interests of Indians in Guyana. Can we as Guyanese overcome our ethnic insecurities and heal our historic wounds of race hate and oppression. It is becoming clearer by the day that Executive lawlessness and monopoly power are elements of our political decay. It is clearer by the day that Constitutional Reform is critical to the survival of our Nation. Without Constitutional Reform, nothing else is viable. We need to employ our best minds to neutrally change the constitution. I say neutrally because politicians will not do what is in the best interest of the Nation. We need to aggressively pursue good governance practices not only by strengthening the capacity of the State but by renewing the spirit of civil engagement in all aspects of public affairs. Without good governance, without strict adherence to the rule of law, without a morally driven administration, without the legitimate use of power and without responsible regulation; we are heading to become a failed state. No amount of investment will place Guyana on the path of prosperity. On the 171st anniversary we need to ask ourselves whether it is possible for Guyana to become a peaceful multi-racial, multi-party, multi-cultural, multi-religious plural democracy. If this is what we want, then many changes need to be made, starting today. First, we must change our attitudes of indifference to each other’s pain. The crimes against Guyanese: extra-judicial killings, corruption, racism and defiance of the rule of law…must be opposed by all races. History has shown us that these types of evil do not last forever. Second, we must insist all political parties contesting the next elections sign a legally binding pre-election pact that will ensure constitutional reform, the pursuit of good governance, economic revitalization and racial harmony as national priorities. Third we need a Cabinet based on meritocracy and one that reflects the fundamental cultural dimensions of our society. Cabinet members should reflect the will of the people as recognised by their votes. The Cabinet should reflect competence. Gender and race must be balanced to ensure equity. Fourth, Parliamentarians should represent specific geographical areas in which they are resident. Any person born in Guyana should be eligible for any political office. Fifth, local government should be constructed on a basis that encourages local decision-making as this is fundamental to any well functioning democracy. An inclusive society based on merit is a necessary perquisite for racial and political peace. On the 171th anniversary of Indian Arrival and African Emancipation, all races in Guyana need to feel equal and be equal. Racial insecurity is a cancer in our society. Each racial group in Guyana must receive equal access and equal treatment, constitutionally, legally, politically, morally, religiously, culturally and economically. Guyana is a country forged out of a mixture of many races, cultures, religions and ideas. For our country to flourish, we need the talents of all our people. We have already lost most of our skilled people to foreign lands and this must be reversed before it is too late. All segments of Guyanese society need to participate in the country’s development. All citizens, including politicians, need to be committed to the fundamental principle of a democratic, multi-racial, multi-ethnic, free enterprise society in which every Guyanese regardless of age, race, religion or creed has an equal opportunity to realize his or her potential Finally, a critical need for all Guyanese is economic prosperity and not the debilitating poverty that consumes us. In Guyana, there is “water, water everywhere and not a drop to drink”. “Poverty is hunger. Poverty is lack of shelter. Poverty is being sick and not being able to see a doctor. Poverty is not being able to go to school and not knowing how to read. Poverty is not having a job, is fear for the future, living one day at a time. Poverty is losing a child to illness brought about by unclean water. Poverty is powerlessness, lack of representation and freedom. Poverty has many faces, changing from place to place and across time, and has been described in many ways. More often, poverty is a situation people want to escape”. Guyana needs new and better leadership. We need to move from “serve the leadership” to “servant leadership”. The former is about racism, corruption, constitutional illegalities and human rights abuses such as torture, extra-judicial killings, drugs. The latter is about visionary, courageous, healing, knowledgeable and compassionate leadership. On the 171st anniversary of Arrival Day we need to commit to forging a spirit of spiritual and emotional nationalism. If not, we will continue to disintegrate politically, morally, socially and culturally. In anticipation of new matters which will arise from the emerging Oil and Gas sector, members of the local judiciary have embarked on a capacity building workshop that focused on the regulatory framework of the industry in the Caribbean. Acting Chancellor of the Judiciary, Justice Yonette Cummings-Edwards, who spearheaded the initiative, disclosed that the workshop is intended to build Guyana’s judicial preparedness to deal with matters related to the Oil and Gas sector. Last week, Minister of State, Joseph Harmon, was among those who acknowledged that local judges will require capacity-building exercises so that they can be able to effectively handle the legal issues that may arise from a complex oil and gas industry which Guyana is currently preparing to be a part of. Responding to comments on the country’s legal capacity to deal with the issue, the Acting Chancellor explained that Oil and Gas was among the main topics at the recently concluded Annual Judges Conference. 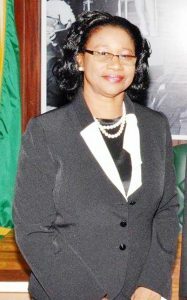 Justice Cummings-Edwards disclosed that under this year’s theme “the Role of Guyanese Judiciary in the Evolving Juridical Landscape,” Judges were enlightened on the fundamental legal concepts in the Oil and Gas industry. The presentations conducted by University of the West Indies (UWI) Oil and Gas Law Lecturer, Alicia Elias-Roberts focused on key legal issues and legal challenges in the sector. According to Justice Cummings-Edwards, the presentation was part of training aimed at preparing the Guyanese Judiciary to meet the demands which the new industry will place on the justice system. The Conference also encompassed presentations on the evolution of petroleum laws in the Region, and issues to be dealt with such as review of concessions agreement, and the increasing equity and revenue of governments; new tax regulations under the Oil and Gas Sector; the sovereignty independence, socialism and nationalism of the Oil Industry as well as expropriation and Organization of Petroleum Exporting Companies (OPEC). The Chancellor noted that systems are already in place to handle expeditiously matters of the emerging sector. “It is worthy to note that emergence of the Oil and Gas Sector in Guyana will be taking place after the introduction in February of new Civil Procedures Rules 2017. These rules are designed to help expedite the pace of civil litigation through adequate case management, a process in which cases are assigned to a single judge from the filing of defence and managed by the same judge to final disposition. “Alternatively if a fixed date application is filed, a hearing will be fixed before a judge within at the most, 28 days of filing, depending on the nature and urgency of the matter. Litigation arising within the new sector will therefore benefit from the new regime of procedures and should be disposed of without lengthy delays. Since matters are filed under the Civil Procedure Rules 2017 are now judge-driven, members of the local bar have had to adjust in order to keep abreast with the new practices and procedures. Justice Cummings Edwards asserted that the judiciary will continue to take the steps necessary to prepare and equip its members to deliver effective and efficient service to all entities and individuals who approach the Courts. Recently, Opposition Leader, Bharrat Jagdeo in response to queries on the Oil and Gas Sector asserted that somehow, Guyana has to build capacity when it comes to the judiciary. He expressed the hope that sooner rather than later, specialized courts would be established to deal with such issues. He said that a commercial court, for example, could be put in place to deal specifically with oil and gas cases in a swift matter. He too shared the opinion that training would be needed for some of Guyana’s judges. Several legal experts have also opined that Guyana’s judicial system is currently not prepared for the complex legal issues that may arise from the looming multibillion-dollar oil and gas sector. Attorney-at-Law, Sanjeev Datadin, who has worked with several international oil and gas companies, holds the view that Guyana’s judicial system is simply too slow, understaffed, and lacks individuals with the necessary knowledge and skills. Were legal issues to arise from the oil and gas sector, Datadin predicts that most companies will opt for arbitration. He opined that there will be arbitration centres just as there are in Trinidad. The attorney believes that major companies which come into Guyana are going to be distrustful of the judicial system, given the perception of how long cases take to be heard, how easily records get lost, personalities involved, among other discouraging observations. Datadin said that the arbitration process would have to go up parallel to the court system, since this is how it is usually done. The Government is giving Guyanese the wrong impression that the coming of oil is an automatic saving grace. There is a real possibility that Guyanese can wake up worse off in 2020 than they are now. That is the contention of Opposition Leader Bharrat Jagdeo. At a recent press conference, Jagdeo spoke about the absence of “realism” in the minds of many government officials and said that they are passing the dream onto Guyanese. The Opposition Leader said that because government expects that Guyana will become rich overnight due to oil, it is forsaking the traditional sectors. “This is dangerous,” he said. Further, Jagdeo said that the money that is projected to be derived from oil is not, by itself, enough to save Guyana. The Opposition Leader referred to the current deal struck between the Government of Guyana and ExxonMobil where the profit from oil production will be shared equally and government will benefit from a two percent royalty. He said that that deal does not guarantee much for Guyana and that the only assurance is the royalty. This, he said, is because the profit that is to be divided is gross, meaning, profit after cost would have been deducted. Jagdeo said that there is a real possibility that for many years, there will be no profit when the cost is deducted. Oil is currently being sold at around US$50 dollar per barrel. Jagdeo estimated Guyanas royalty come 2020 using that figure. He said that two percent of US$50 works out to US$1 per barrel. This is to be multiplied by the amount of barrels that Exxon plans to produce a day100,000. That works out to US$100,000 per day which when multiplied by 365 (one year) works out to about US$36M which exchanges to about GY$8B a year. Jagdeo said that government officials are busy walking around spreading hope of a better life and “the good life” but with no action in place to see the realization of those “dreams”. “So the reason I use those assumptions, it is not a massive sum coming from the royalty, it a fairly decent sum but when compared to a single action that this government did it amounts to nothing at all…they have given up more,” said Jagdeo. While Jagdeo is urging the government not to forsake traditional sectors, he too, has in the past, been accused of doing the same. Christopher Camponovo of Halcyon Law Group thinks that if the financial incentive of corrupt practices is taken away from past offenders and they are then made to serve time, a clear message would be sent that corruption will not be tolerated in Guyana. Camponovo spoke at a recent symposium that focused on the relationship between oil and corruption. The prevalence of corruption in Guyana was highlighted at that symposium and so were the dangers of the crime. Camponovo said that it is important that the money be recovered and returned to the state. He described that as a key part of the justice the people of a country should receive. The lawyer said that when the culture changes, Guyana will be better off. “Guyanese must develop anti-corruption attitudes to progress,” Camponovo said. Camponovo is one who thinks that to a large extent, law enforcement and the judiciaries are to be blamed for the high levels of corruption in Guyana and the wider Caribbean. This is so because it will only take a few good examples to be made out of corrupt officials to send a message that the crime would not be tolerated. That is the view also held by United Kingdom’s Dr. Perry Stanislas. At the same anti-corruption forum, Dr. Stanislas noted that corrupt behaviour is determined by the relative strengths or weaknesses of institutions. It deprives a nation of much needed revenue, he added. The security expert and University lecturer made that point before referring to an article published in this newspaper in 2012. In that article, Transparency International labelled Guyana as the most corrupt country in the English-speaking Caribbean. While things are a little better now as regards Guyana’s standing, the country still has a long way to go. Dr. Stanislas said that the desired change will not be achieved unless the crime is no longer tolerated. “(Guyana) needs to develop an attitude that if you steal from the country we (the law) will be coming after you,” said Dr. Stanislas. Dr. Stanislas singled out Jeffery Archer, a former British Minister, famous author and wealthy businessman; Martha Stewart, successful business woman and entrepreneur; Conrad Black, former owner of British Daily Telegraph, and several famous hotels/businessman and asked what was the common thread. Camponovo, noted that very often in Nigeria corrupt politicians are arrested, placed before the court and sent to jail. He said, however, that the problem is that there are so many of them. He said that this is one area where Guyana’s small population comes in handy. “It will be easier for Guyana with a smaller population, smaller business community, government, etc. you only have to set a few examples,” said Camponovo. Camponovo said that if wrongdoers are made to face the fire and are held responsible for theft in a way that respects the rule of law, respects judicial and prosecutorial processes it will effect real change. To a large extent, law enforcement and the judiciary are to be blamed for the high levels of corruption in Guyana and the wider Caribbean. This is so because it will only take a few good examples to be made out of corrupt officials to send a message that the crime would not be tolerated. That is the view held by a few international experts, particularly United Kingdom’s Dr. Perry Stanislas and Christopher Camponovo of Halcyon Law Group. This view was aired during the recent symposium that examined the relationship between corruption and oil. At that forum, Dr. Stanislas noted that corrupt behaviour is determined by the relative strengths or weaknesses of institutions. It deprives a nation of much needed revenue, he added. The security expert and University lecturer made that point before referring to an article published in this newspaper in 2012. The article is one in which Transparency International labeled Guyana as the most corrupt country in the English-speaking Caribbean. Dr. Stanislas said that Jeffery Archer was a personal and very close friend of Margret Archer but their friendship ended when Archer went down a not so clean path. Robert Allen Stanford is an American former financier and sponsor of professional sports who is serving a 110-year federal prison sentence, having been convicted of charges that his investment company was a massive Ponzi scheme and fraud. Though he is American he lived in Antigua before being jailed. That is where the mix up came. It was soon clarified that Stanford does not count as coming from the Caribbean and in any case it was America that brought him to justice. Dr. Stanislas then asked the question again, “Can you name a powerful wealthy person in the Caribbean that served a sentence for fraud or corruption.” The silence returned until another man pointed to a case in Granada. It turns out that Granada is the only Caribbean jurisdiction that has jailed a rich white collar criminal. Dr. Stanislas said that that speaks volume of the Caribbean system. “What is wrong with the Caribbean justice system and law enforcement? Dr. Stanislas said that it is the weakness in these institutions that is attracting the crime. Christopher Camponovo, of Halcyon Law Group, noted that very often in Nigeria corrupt politicians are arrested, placed before the court and sent to jail. He said, however, that the problem is that there are so many of them. Minister of State Joseph Harmon is adamant that no conflict of interest exists in the relationship between itself, the Mangal brothers and ExxonMobil. Dr. Jan Mangal is as an advisor on oil and gas while his brother, Lars Mangal, has partnered with ExxonMobil. Persons, who spoke on the grounds of anonymity, expressed concern over the relationship that seemingly has the potential to put Guyana in a bad spot. But those concerns are not shared by Minister of State Joseph Harmon. In the letter to which Harmon referred, Dr. Mangal noted that his term as Petroleum Adviser to President Granger began in March 2017 whereas the re-negotiation of the contract for the Stabroek Block was performed about a year earlier. That statement contradicts what Harmon, Minister of Natural Resources, Raphael Trotman and Prime Minister Moses Nagamootoo said before which is that negotiations were continuing up to about three months ago. It was only on June, 1 this year that government announced a two percent royalty has been negotiated. In his letter, Dr. Mangal said that he has not negotiated contracts between any oil company and Guyana. “Many in Guyana, including some of our most prominent officials and attorneys, seem not to recognize these conflicts. Hence journalists need to become more adept at investigating possible conflicts of interest by directly querying allegedly involved parties, and highlighting likely abuses. In the recent article in Kaieteur News about the Mangal brothers, it seems the relevant journalists failed to ask about or acknowledge the mitigation measures which are in place. Dr. Mangal occupies an Office at the Ministry of the Presidency. His brother, Lars Mangal, is working with ExxonMobil. He recently won a bid to construct an onshore facility for ExxonMobil. Lars Mangal, has established a company, Totaltec Oilfield Services. The company was established in 2016. Guyana Shore Base Incorporated (GYSBI) is currently constructing an onshore base facility to service ExxonMobil’s offshore operations. The site is located at the Muneshwers wharf in Houston, East Bank, Demerara. The wharf is being converted from a container port into the onshore base facility. GYSBI is a partnership between Muneshwers Limited, Pacific Rim Constructors, Totaltec Oilfield Services and LED Offshore. The 28-acre warehousing and logistics base will see services that were previously accessed in Trinidad and Tobago by Exxon, being brought to Guyana. Those services include port facilities, accommodations on site, fuel bunkering, bulk cementing and mud plants. The offshore facility will employ an estimated 100 persons directly, and 200-300 persons indirectly when it is fully operational. The Guyana Extraction Industries Transparency Initiative (GYEITI) which was established earlier this year, 2017, will soon be accepted as another member of the Global EITI Family of Nations, if all continues to go as planned. This longed-for mechanism for better governance in Guyana, is now much closer to realisation. That was announced by the recently appointed National Coordinator of the GYEITI, Dr Rudy R. Jadoopat. The Guyanese-born economist and former Youth Trade Unionist, brings to the job, over three decades of international experience. So what is the Guyana Extraction Industries Transparency Initiative (GYEITI) all about? The short answer is that it is a coalition of governments, companies, investors, civil society and partner organisations, working together to ensure a much greater degree of transparency, and with it, a Citizenry capable of accessing information regards business transactions which done by their governments, investors and non-government organisations; in a nutshell, EITI empowers citizens in member countries to be able to access the kind of information, which in the past, was held as top secret, and to have such information, citizens can hold their political representatives and others, accountable for business which will impact the lives of the ordinary folks and others. During the past two weeks – July 8 to 20, 2017 – GYEITI has held five out-reach workshops; at Corriverton, Bartica, Linden, Charity and Georgetown, where the public was addressed by representatives from EITI, government, civil society and Investors, including Exxon Mobile. During those workshops, a wide variety of questions were entertained from the Floor and responses given, generally to the satisfaction of the gathering. At Corriverton, the principal questions from the Floor were about the Exxon Mobile Oil and Gas exploration. At Bartica the principal questions were linked to the Gold Mining Industry, and at Linden, to the Bauxite Industry. Questions from the floor at the Out-Reach Workshop at Charity, were also about the Oil and Gas exploration and the Gold Mining Industry. (a) Ensuring Corporate Social Responsibility. (b) Encouraging the sharing of Information. EITI being in Guyana is not unique, since it has already been established in over fifty countries around the world, and the number is growing. With Guyana’s application soon to be official accepted, our country will be elevated to a country in which corruption will dwindle, as is the case in other EITI Member countries. Some of the EITI member countries are Nigeria, Norway, Sierra Leone, Suriname, Liberia, The United Kingdom, Peru, Colombia, Togo, The Dominion Republic, Ghana, Honduras, Senegal, Zambia, Germany, the United States and Trinidad and Tobago. The fifth and final of this first series of Out-Reach Workshops, was held at the Marian Academy in Georgetown. The principal speaker was Minister of Natural Resources, Hon. Raphael Trotman, MP, who referred to himself as “the first among equals” in the partnership of Government, Civil Society and Industry, in bringing more Transparency to governance in Guyana, as is unfolding in over fifty other Democratic countries around the world. As was the case at the other four GYEITI out-reach workshops, there was a wide range of questions from the floor at this fifth workshop in Georgetown, one being whether there will be similar out-reach workshops in some of the far-flung communities, such as Mabaruma, Mahdia and Lethem. That was answered in the affirmative. Among those who addressed one or more of the five Workshops, were National Coordinator, GYEITI Secretariat, Dr. Rudy R. Jadoopat, Deputy Coordinator GYEITI Secretariat, Diane Barker, Guyana Country Representative The Carter Center, Jason Calder, Deputy Director Office of the Budget, Ministry of Finance, Gillian Pollard, MSG Member, Extractive Industry, Patrick Harding, MSG Member, Civil Society, Najuma Nelson, MSG Member, Civil Society, Gomin Comacho and Exxon Mobil Country Manager, Rod Henson. Author AdministratorPosted on July 9, 2017 August 9, 2018 Categories Petroleum ExplorationLeave a comment on 8. Guyana. Oil Curse. How to prevent. 7. Gusher in Guyana. Will oil corrupt this state? 7. Corruption Perception Index: Guyana and nearby countries – From Worldbank 2017. Will Guyana be affected by the Oil Curse and the Dutch disease, from 2020 on when oil production begins? Why ? Dutch disease and resource-based international trade. Three (3) explanations for the Dutch Disease. Many books and publications exist on this subject. Some scientist have even dedicated a large part of their life studying this phenomenon. Much can be found by researching on internet. You may want to have a look at some of these publications. For a subject that will be of prime importance for Guyana the coming decades. A) Based on resource endowments, as Heckscher-Ohlin (H-O model, Stockholm School of Economics, 1933. Building on David Ricardo’s theory of comparative advantage). And Heckscher-Olin-Vanek. And by the Stolper-Samuelson theorem. B) Explained by the classic economy theory of W. Max Corden and J. Peter Neary, 1982. W.M. Corden (1984), ” Boom Sector and Dutch Disease Economics: Survey and Consolidation.” Oxford Economic Papers 36:362. C) As explained by Juan Pablo Pérez Alfonso, from oilrich country Venezuela. Prominent Venezuelan diplomat, politician, and lawyer. Responsible for the creation of OPEC. In one of his excellent books such as ” The devil’s excrement ” or ” Hundiéndonos en los excrementos del Diablo”, 1976, Caracas, Editorial Lisbona. A book that I studied with great interest back in 1977. On arrival and start of my career in Caracas. By that time, the bustling and booming, so-called Sucursal del Cielo and La Venezuela Saudita. Caracas, a moveable feast by then. Just as in ” A moveable feast ” on Paris, by Hemingway. South America’s only English-speaking country is one of its poorest. But perhaps not for much longer: Guyana has struck black gold. By 2020 ExxonMobil, the world’s biggest private oil firm, expects to be pumping oil in Guyanese waters, with Hess and Nexen, its American and Chinese partner firms. In the past two years they have found reserves of around 2bn barrels. Five more promising prospects will be drilled by 2018, and then perhaps a dozen more. Guyana could be producing 120,000 barrels per day by 2020, and more than 400,000 by the mid 2020s. Even with oil at under $50 a barrel, this is vast wealth for a nation of just 750,000. But the Guyanese seem strangely underwhelmed. “It will not trickle down,” a street trader shrugs. Little of the work will be done onshore. Guyana has few engineers and no heavy industry. A global glut of refining capacity means there is no point in Guyana building its own. Oil will be pumped into giant vessels, then shipped directly to foreign markets. So the main question is how the government will spend its share of the windfall. There is talk of a sovereign wealth fund and projects to boost long-term growth: an all-weather road linking the capital, Georgetown, to the interior and Brazil; a deepwater port; hydro-electric schemes; better health care and schools. But Guyana already had diamonds and gold, and little of that wealth was shared. Horse-drawn carts still weave through the Georgetown traffic. Large new gold mines under Australian and Canadian ownership have boosted export earnings and the tax take. But small locally owned ones smuggle much of their output abroad, bypassing the taxman. State-owned sugar producers gobble subsidies. Cash will be tight until the oil starts flowing. Retail sales are down. Nightspots are closing. “Businesses are scared to invest,” says an accountant. He blames a crackdown on money-laundering and graft. Others blame a newish local office of America’s Drug Enforcement Administration for reducing the flow of drugs cash. The minister for natural resources, Raphael Trotman, wants Guyana to sign up to the Extractive Industries Transparency Initiative, which monitors mineral revenues to stop them being stolen. The Guyana Oil and Gas Association, a recently formed coalition of private firms and individuals, aims to promote transparency in the industry. But oil tends to corrupt weak governments. And Guyana’s is far from strong; the country has a history of corruption and its politics are bitter and racially polarised. An alliance led by the mainly Afro-Guyanese People’s National Congress, the party that governed from 1964 to 1992 through rigged elections, squeaked back into power in 2015. It is locked in a standoff with the opposition over who should become the new head of the elections commission, which has kept elections broadly free and fair since 1992. If no deal is reached, the constitution seems to allow the president to impose his choice—in which case the leader of the opposition People’s Progressive Party, which is mostly supported by Indo-Guyanese people, threatens to sue. The risk is that Guyana’s petrodollars will be squandered on more sugar subsidies and pay rises for the unproductive public sector. The next election is due in 2020 just when the oil starts to flow. The victor could enjoy a well-lubricated quarter century in office. This article appeared in the The Americas section of the print edition under the headline “The gusher in Guyana”. It will take better politicians to resist the corrosive power of petrodollars. With no clear policy to create jobs and grow the economy, and with an unprecedented number of blunders, scandals, and corrupt practices haunting this administration, lies, deception and voter-fraud are the only options available to the APNU+AFC to cling to power in 2020. Not even campaign promises can get them elected this time around for we all know the APNU+AFC cannot be trusted to keep campaign promises. The Guyana Chronicle of Sunday, 16 July quoted President Granger as saying, “We are actually looking at means to reduce the taxation burdens.” Ironically, this is precisely one of the strategies proposed by the APNU+AFC Re-election Campaign (REEC). 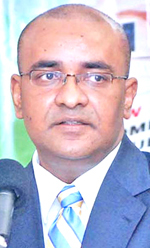 The People’s Progressive Party (PPP) has long been calling on the government to repeal the draconian tax burdens imposed on working class Guyanese since taking office, and the Leader of the Opposition, Dr. Bharrat Jagdeo has already said that he will rescind these immediately upon his party being elected back into office. So what’s new? As I’ve mentioned in a previous letter, the Administration’s greatest fear is having to compete against a highly motivated PPP/C in 2020 with Bharrat Jagdeo as its Presidential Candidate. They will do everything to prevent this from happening, and are bold enough to risk tampering with the judiciary to achieve this objective. They have been using propaganda to fool the Guyanese electorate into believing that the People’s Progressive Party is corrupt and racist. All lies and deception that must now be challenged! As mentioned above, President Granger has already started to tout the implementation of the strategy to ease heavy taxation. This is a serious admission that both the burdensome tax measures imposed by government in the 2017 National Budget and the 2 AM closure of bars and night-clubs by Minister Khemraj Ramjattan were unpopular among APNU+AFC supporters and could cost them votes in the 2020 election. Our youth were knowingly deceived and used by the APNU+AFC during the last election, and they hope to “mamaguy” young voters again with the same strategy being suggested here. Not a word about implementing a plan to create jobs and opportunities for the youth as promised in the APNU+AFC 2015 Manifesto. When the APNU+AFC came to office in 2015, it didn’t take long for the Granger Administration to start blowing out the over US$700 million left by the PPP/C in foreign exchange reserves at the Bank of Guyana. Ministers were paid hefty salaries ranging from $1.2 million to $1.7 million monthly; New luxury vehicles were bought for the President and his ministers, costing as much as $22 million each; The number of ministers were increased from 18 under the PPP/C to 27 plus the President under this Administration, with most ministries now run by a Junior Minister and a Senior Minister. This incompetence obviously puts additional burden on the financial resources of the country to pay all these ministers fat salaries, provide housing for them, costing taxpayers as much as $500,000 per month; The spouses of ministers now travel with them first class at taxpayers’ expense, and some ministers are allowed to spend unlimited amounts as travel expenses without having to account for the spending of taxpayers’ money upon their return. The President travelled to the Bahamas on a chartered plane costing Guyanese taxpayers millions rather than flying there first class via Miami on a commercial flight for a fraction of the cost. Then billions of taxpayers’ dollars were spent settling lawsuits that could have been won if we had a competent Attorney General that was half as brilliant as the one we had before. The Administration shamelessly wasted billions of taxpayers’ money on the bottom house drug storage bond and the D’Urban Park white elephant. But instead of cutting back on these elaborate and wasteful government expenditures, the Granger Administration is now forced to find other sources of income that would allow them to continue living “the good life”. Hence over 200 new tax measures have been imposed upon the Guyanese working-class in the two-plus years they have been in office. What a shame! The other big lie propagated by this government to justify the failure to grow the economy and to provide jobs, is that money from the thriving illegal drug trade played a major role in boosting the under-ground economy under the previous PPP/C government. Well, if this was true, and this APNU+AFC government was successful in stopping this massive drug trade, why is it that SOCU’s big claim to fame so far is going after Jagdeo’s house in Pradoville 2 and Anil Nandlall’s Law journals? The word “perception” used here is evident that they themselves do not believe this to be true. When compared to the number of Blacks holding prominent positions in the PPP/C, long-time PNC stalwart Anna Ally and a few others may be the only non-AFC Indians that hold a comparable position in the PNC/APNU. Fueling “the perception that the PPP is racist” may have worked in the past, but more Afro-Guyanese are willing to admit they were much better-off under the PPP/C that they are today under the APNU+AFC. There are two things I will comment on observations on the above matter made by Ms. Vicky McPherson a shareholder in the Global Energy and Infrastructure group as reported in Kaieteur News of 7th July 2017. First the shareholder is said to have opined that laws will not be enough to prevent corruption in our oil and gas industry. Obviously, this opinion of MS McPherson is correct. The presence of laws never did or never will, by themselves prevent crime. The second aspect of Ms. McPherson’s reported comments was the suggestion that what is needed to deter corruption is “leadership and the personal conviction to not steal from the public purse.” This statement is not as clear as a casual examination might suggest it is, and lends itself to various interpretations. I will take both aspects of this statement to be referring to both leaders at the national political decision making level and senior persons Guyana identify to monitor and participate in the management of the oil industry on its behalf. With this as my understanding of the context in which the statement was made I now turn to examine what we know about white collar crime to see if it comports with the shareholder’s notion of what will halt its presence. To do so I turn to Sutherland’s Differential Association theory for assistance. While the theory of Differential Association (DA) has its short falls (like all theories), it remains the most used theory for explaining causation for white collar crime. Essentially DA holds that our behaviour is influenced by the extent to which we share the values and definitions of law and its violation held by our colleagues (our reference group). Thus, Sutherland saw this crime as a natural consequence of the interaction with criminal lifestyle. A straightforward way for us to gain an appreciation of Sutherlands’ DA theory is to recall the old and familiar saying “show me your company and I will tell you who you are.” An examination of alleged white-collar crimes in Guyana’s recent history seems to support Sutherland’s contention. When the now governing parties were in the opposition they accused then president Jagdeo of committing white collar crimes – reference his Prado 1 and Prado 2 homes. The life styles of ministers in Jagdeo’s government and other senior government functionaries exceed what their salaries could make possible. These said officials felt comfortable telling the nation their sudden wealth was achieved courtesy of barrels sent by relatives. It is expected that the oil sector will come on stream somewhere near the end of this government’s present term. While we know what to expect from the PPP based upon its past behaviour which suggest a willingness to pursue self-aggrandizement at the expense of the poor, what are we to expect if the present government is returned to power? It would seem to me that the same yard stick of gauging future behaviour based upon past conduct that I employed earlier for assessing the PPP must also be used for suggesting how the APNU/AFC is likely to behave if returned to power. Based upon his behaviour thus far, only the malicious and childishly partisan would suggest that President Granger shows any interest in self-aggrandizement. From his conduct, it seems showering himself with material riches is not his definition of a successful life, his emphasis seems to be focused on personal spiritual growth. So, while the PPP is rotten from the head down and therefore offers ideal conditions for white collar crimes to flourish, in the case of the APNU/AFC government the accommodating of such crimes comes from the wider community of its governing group. . Remember Sutherland’s theory did not focus on the behaviour of the leader but on the wider leadership – colleagues who are one’s “reference group.” It is their acceptance of criminal behaviour that offers the accommodating environment for such crimes. Support for the correctness of Sutherland’s focus on leadership rather than the leader can be seen in the fact that even during the presidency of a simple man like Dr. Jagan white collar crime was said to be rampant among senior PPP officials. A government that uses poor taxpayers’ dollars to provide ministers with rented houses, costing half a million dollars each month? When a government could look out for itself in this brazen manner, at the expense of workers, what are we to conclude? Isn’t it, based on its behavior, giving credence to Sutherland’s contention that white collar crime flourishes where persons in position of authority share a favorable definition of law violation? With all the above as our reality, tell me, why should we believe that this government and its senior appointees will not also use oil money in the same selfish manner and that white collar crime will not continue to plague the nation? With Guyana now moving to set in place the necessary laws and regulations to govern the emerging oil and gas sector, it’s going to take more than that to stop corruption. This is the opinion of Vicky McPherson, a Shareholder in the Global Energy & Infrastructure Group and the Africa Practice Group at the international law firm, Greenberg Traurig. “The most important thing to acknowledge about corruption is that you can have all of the laws and regulations in place, but if you don’t have the leadership and the personal conviction to not steal from the public coffers, none of this matters,” she said. McPherson was at the time responding to a question posed by Chief Executive Officer (CEO) of the State Assets Recovery Unit (SARU) Aubrey Heath-Retemyer, on whether there has been any attempt to safely determine the level of involvement of larger countries in corrupting smaller oil-rich states. This statement would come at a time when Guyana is moving to put in place the necessary laws, policies and regulatory bodies to govern the emerging oil and gas sector. These would include the 1) Local Content Policy, 2) the Sovereign Wealth Fund, and the 3) Petroleum Commission Act, among others. McPherson, who appeared as a panellist at the “Public Corruption and the Oil Curse” symposium held at Le Meridian Pegasus Hotel in Kingston, Georgetown yesterday, told Heath-Retemyer that she is not aware of any “quantifiable” report, and outlined several factors that can prevent corruption from outside sources. These factors, she said, include Civil Society and a Free Press. McPherson said also that citizens have a major role to play in ensuring transparency. “If the citizens demand transparency, that will go a long way in terms of ensuring that the government and those who benefit from government contracts do not personally benefit to the detriment of Guyana as a whole,” she said. Echoing McPherson’s view that laws will not be enough to combat corruption was David Holukoff, the Director of Grant Thornton in the British Virgin Islands. The firm is regarded as the world’s seventh largest professional services network of independent accounting and consulting member firms which provide assurance, tax and advisory services to privately-held businesses, public interest entities, and public sector entities. “It’s not just about laws, because there is always a loophole…When we’re doing our forensic investigations, it’s about the will and the leadership from the top…and the unwillingness to accept corruption and chase after and get rid of the bad players,” he said. unscrupulous culture. It is a culture which sees the close friends and families connected to government officials benefitting from revenue and/or resources which are intended for the benefit and development of the state and its people. But this culture is not unique to Guyana. It is particularly prevalent in the oil and gas sectors around the world. As Guyana prepares for this new industry which is poised to bring gushing streams of revenue, Minister of Natural Resources, Raphael Trotman is assuring that the Government is going above and beyond to insulate the oil sector from corruption. In an interview with this newspaper yesterday, Trotman said that the culture in Guyana of having riches belonging to the state trickle down to family and friends connected to the government, is something that the APNU+AFC coaltion is very conscious of. Trotman reminded that Prime Minister, Moses Nagamootoo would have brought before the National Assembly, amendments to the Integrity Commission Act which has been in the form of a regimented Code of Conduct for public officials. The Natural Resources Minister said that the idea, nonetheless, is to ensure that ministers and persons of influence are not allowed to divert oil resources which belong to the state and its people to their family and friends. It was on Monday that Kaieteur News carried an article which showed how the friends and families connected to the Government of Equatorial Guinea live lifestyles fit for kings and queens. These “selected” individuals can happily enjoy their riches today, much to the credit of USA oil giant ExxonMobil. But a damning investigation later revealed that the source of their wealth was due to the fact that ExxonMobil was funneling millions of dollars into a private account belonging to the Government. And that is not all. ExxonMobil was also granting contracts to the friends and family members connected to the Government of Equatorial Guinea. At one of the hearings held by the American Senate Subcommittee in 2004, Senator Jeff Merkley grilled at length, Rex Tillerson, who was the CEO of ExxonMobil. He is now the US Secretary of State. Tillerson was questioned on the fact that there were a number of contracts that ExxonMobil did with companies which had strong ties to the friends and family members of the Government of Equatorial Guinea. Merkley said that this included building leases and land leases and a series of other contracts. He added that the net effect was the transfer of more riches to the Government of Equatorial Guinea. Merkley pointed out that ExxonMobil’s actions raised this moral question: How could this company be engaging Equatorial Guinea in such a manner, that it was essentially enriching the leaders, without little thought of how this was going to impact the people there? Merkley also pointed out that the unfavourable state of Equatorial Guinea is even reported on by the US State Department. Tillerson said that while he is aware of the circumstances spoken of by the Senator, he merely maintained that during his time, there were no violations. With the aforementioned in mind, several anti-corruption advocates fear that the same may take place in Guyana. The submission of Guyana’s application for membership into the Extractive Industries Transparency Initiative (EITI) was yesterday facilitated at the Ministry of Natural Resources on Brickdam. Photo: (centre) Natural Resources Minister, Raphael Trotman handing over Guyana’s EITI application to GYEITI Head, Dr. Rudy Jadoopat while being flanked by other stakeholder. At the simple ceremony, Natural Resources Minister, Raphael Trotman handed over a copy of the application to Head of the EITI local chapter, Dr. Rudy Jadoopat. The Guyana EITI (GYEITI) Head collected the document on behalf of the regional EITI head, Dr. Francisco Paris, who witnessed the occasion via Skype. Dr. Paris is currently in Oslo, Norway, and an electronic copy of the document was sent to him later yesterday. Present at the event were various industry stakeholders, including Patrick Harding, of the gold industry and ExxonMobil’s Country Manager in Guyana, Rod Henson. Mike McCormack, who is the head of the Multi-Stakeholder Group, was also present at the event. In his opening remarks, Trotman said that the submission of the application is a signal achievement for good governance in Guyana. He then recognized the work done by the previous government, as it was the PPP which some years ago, made the decision to take Guyana in this direction. Trotman noted that thereafter, in November of 2015, a cabinet decision was taken by the APNU+AFC Government to continue the process. Trotman also singled out McCormack and Hilbert Shields, who possess years of experience in the extractive sector, for their invaluable contributions towards the process. Once the application is accepted, Trotman said that Guyana would become the 53rd member of EITI. According to Jadoopat, the application is being submitted this month so that Guyana can make it in time for the EITI meeting coming up in October, where it is expected that its application will be approved. Jadoopat said that once all goes well, Guyana should be submitting its first report as an implementing country of the EITI Standard by April 2019. EITI is an international body that was established in 2003 with the aim of making it harder for governments and companies to hide the truth about the proceeds garnered from the extractive industries. The companies in the extractive sector report on what they are paying the government, and the government reports separately on what it received from the companies in the sector. A report is then prepared by a Multi-Stakeholder Group. The document, among other things, will highlight whether the numbers data collected from the two add up, or if there is an irregularity. Jadoopat explained that Guyana must be praised for intensifying its efforts, in recent years, to satisfy EITI candidate sign-up requirements. The official noted that the Government of Guyana had announced its commitment to implement the EITI Standards since May 2010. He noted that Guyana and EITI even signed a Memorandum of Understanding in 2012, which paved the way for Guyana to be assisted with its preparation of EITI candidacy. He noted that the Inter-American Development Bank (IDB), the World Bank and the Carter Center provided assistance to the Government and supported its efforts towards EITI candidacy. Jadoopat said it is expected that this will continue. Furthermore, Jadoopat said that Guyana has stepped up in achieving meaningful progress towards eligibility to apply for EITI candidacy. He noted that the coalition government has since reaffirmed the country’s commitment to EITI and announced the establishment of the Guyana Extractive Industries Transparency Initiative. Following this was the appointment of a National Coordinator and a Deputy Coordinator on February 1, last. A Multi-Stakeholder Group (MSG), which is one of the requirements of EITI, was officially launched on February 15, last. Jadoopat explained that the MSG GYEITI comprises 12 members, nominated by Civil Society, the Extractive Industry and Government in the ratio 4:4:4. He said that there are also 12 alternates; one for each member from the respective sectors. Additionally, the National Coordinator said that the MSG GYEITI has agreed to hold regular meetings, at least once a month. He noted that Sub-Groups have been formed to actively engage in finalizing Terms of Reference, a Confidentiality Agreement and a Work Plan. “Barring any unforeseen obstacles, The Cooperative Republic of Guyana can become an EITI candidate before the end of 2017. Additionally, in order to set the stage to implement the EITI Standard nationally, measures will be taken to assist the MSG in making decisions on how the EITI process should work in Guyana,” Jadoopat expressed. He said that other measures will see moves being made to embark on comprehensive data and information compilation on the governance of the extractive sectors of Guyana, preparation of regular reports and issuance of recommendations for improving sector governance. The National Coordinator said that efforts will also be geared towards the design of a comprehensive public awareness campaign to promote and explain the work of the Guyana EITI and also inform public debate and seek recommendations. Jadoopat also noted that the Multi-Stakeholder approach is central to the operation and philosophy of the EITI, as it reflects on how the GYEITI is governed and implemented. He said that the GYEITI Multi-Stakeholder Group, like in other EITI countries, has been established to oversee EITI implementation. “The MSG is the main decision-making body responsible for setting objectives for EITI implementation, producing EITI Reports and ensuring that the findings contribute to public debate. A fully functioning MSG is essential for Guyana to be accepted as an EITI Candidate country and for the successful EITI implementation thereafter,” the National Coordinator asserted. Jadoopat added that the government, as stipulated in the International EITI Standard 1.4, has committed to working with Civil Society and Companies. The official said that the government has been instrumental in ensuring that the preconditions for EITI candidacy are satisfied. Furthermore, Jadoopat took the opportunity to encourage all to consider it their civilian duty to actively participate in the activities and work of the GYEITI. 7) Corruption Perception Index: Guyana and nearby countries – From Worldbank 2017: A high index of 130. Near to Venezuela. Author Marcel Chin-A-LienPosted on July 5, 2017 June 21, 2018 Categories Petroleum ExplorationLeave a comment on 7. Gusher in Guyana. Will oil corrupt this state? 0) Arrangement Guyana Government with ExxonMobil – How much money would Guyana get from ExxonMobil’s offshore oil production? The contents of the arrangement that the Guyana Government in 1999, has signed and apparently recently renegotiated with ExxonMobil, has never been published. Therefore there is a lot of uncertainty and public discussions on transparency going on regarding this important item. This to know how much money Guyana would get from its offshore production. In 1998 Guyana signed an arrangement (PPL) with CGX. My educated-guess is that the arrangement signed with ExxonMobil in 1999 could resemble the arrangement signed previously with CGX. The contents of this PPL can be found by researching Internet publications. The Petroleum Prospecting License (PPL) was signed between CGX Energy,Inc. (Company) and the Government of Guyana (Government) on June 24, 1998. Cost recovery production allocation is as follows. Maximum Cost Recovery is 75% during the first 3 years, afterwards 65%. Profit Oil Split (Developer Share): During the first 5 years, 50% for the first 40,000 b/d. And 47% for Production above 40,000 b/d. After 5 years, 45 % for all production. The Developer does not pay income tax. The PPL provides that the income tax is paid from the Government’s share of the profit oil. The Company has an exemption from VAT, exercise taxes, duties, fees, levies and from property tax. The Company does not pay royalty. This is considered to be included in the Government’s share of profit oil. Training expenses of US$ 40,000 per year are required, only during the exploration period. These are qualified as exploration expenses. Annual license rental payments of US$ 40,000 per year are required during the exploration and production period. In my opinion this represents a very good deal (arrangement) for the Company. And a rather ” inconvenient deal ” for the Government. Always be so diligent to first design, negotiate and only later sign your own PSC. Customised with those clauses and articles you wish to have. Consult e.g. with a clever and seasoned PSC and E&P specialists and advisors with worldwide experience. Once signed it is extremely difficult to change and adapt it substantially. From what I perceive from publications the Government did recently renegotiate the original PPL with ExxonMobil and obtained somewhat better conditions. Including a royalty and a 50% – 50% overall share. One would assume that the original 1999 PPL was rather favourable for ExxonMobil. Given that it was signed in a period when there was relatively little interest of IOC’s in offshore Guyana. As is usual in such cases and in high risk, still non-oil-proven basins, it is to be assumed that Guyana has granted rather favourable (“soft”) conditions to ExxonMobil. In order to attract exploration investments with a clear work program, including seismic and drilling. Now that it has become a proven basin, it is a different ball game. Contracts with new entrants could be negotiated with a much better share for Guyana. By focussing on items such as the royalty percentage, ring fencing, the ceiling for cost recovery. By drastically optimising its profit share, from the ‘ profit oil “, immediately after the IOC has recouped its investments from the ” cost oil ” . Financial engineering, valuation and cash flow modelling, in tandem with the expected production profiles from the fields are fundamental in this respect. The main objective of Guyana should be to maximise its petroleum wealth by encouraging appropriate levels of offshore activities. To this end Guyana must design a robust fiscal system with for example the following characteristics. It should provide a fair return for both the state and the international companies. It has to be clear and avoid undue speculation, just as is now frequently surfacing in the press. Administration has to be efficient without undue rules, permits and burdens. At the same time it should provide enough flexibility and create a healthy, competitive competition and market efficiency. A much different Petroleum Sharing Contract is certainly highly recommended in my opinion. How much money would Guyana get from ExxonMobil’s offshore oil production ? Assuming that the ExxonMobil PPL contains the same articles as the PPL with CGX. This is a simple estimate of the monies involved. But it gives a fair idea of what everyone wants to know. Precise data can be obtained by making a full economic analysis. Total oil revenue would be some 75 US$ billion. Total profit oil is 68 billion US$. Guyana Government profit share is some 36 billion US$. This amount would be received in the period 2020 – 2033. Payout is successful in about 4 years. The economics of the Liza – Payara – Snoek giant fields development is thus highly profitable, with an IRR exceeding 100%. Marcel Chin-A-Lien – Advisor Petroleum Exploration & Production, Business-Commercial-Policy Development, PSC’s. 1) Serious concerns about Govt.’s arrangement with ExxonMobil need urgent answers. • Is there a ceiling for cost recovery in any given year? • How does the Govt. of Guyana intend to validate the costs? • What were the duties and tax concessions granted? There are many questions that remain unanswered about Guyana’s arrangement with oil giant ExxonMobil and some of the country’s leading minds are becoming antsy about what this really means. At that forum, Hughes highlighted that there is a deficit of information in the public domain about key issues regarding Guyana’s arrangement with ExxonMobil. Hughes gave the attendees a synopsis of Guyana’s journey to where it is at present. He went as far back as to Independence and travelled all the way to the announcement of the oil discovery in 2015 – then to government’s announcement of the two percent royalty Guyana is to receive form ExxonMobil when oil production begins. Hughes told the conference that after the initial announcement of the Liza-1 find, locals began voicing concerns about the management of the oil resource. The Attorney noted that on June 1 this year, government announced that it is expected to grant a production licence to Exxon. “The release stated, the production licence is required to be finalized before the developers make their final investment decision for the project in June 2017.” The production licence has since been granted. He said that the government also announced that Guyana will receive a royalty of two percent of the gross earnings and benefit from 50 percent of the profits from the sale of petroleum once production commences. Hughes noted that what was not announced, however, was whether there was a ceiling for cost recovery in any given year. Yearly cost recovery ceiling would refer to the amount of money which government and ExxonMobil agree that the company will take out from the yearly revenues generated in order to recover its investment. The amount of money agreed on will reflect in Guyana’s yearly piece of the pie. It has already been established that Guyana is supposed to get 50 percent of the profit and two percent royalty. Case study: If ExxonMobil receives $100 per year and takes out $70 for cost recovery purposes that would leave only $30. Two percent will then have to be taken out for royalty and the remainder is to be divided 50-50. Therefore, cost recovery ceiling is an important factor in getting to understanding just how much Guyana will benefit yearly. Hughes also pointed out that there has been no indication whether cost recovery is a percentage of revenue. The Attorney at Law also told the conference that Guyanese are yet to be told how the government intends to validate the costs ExxonMobil has incurred. This is important, as the possibility of inflated cost cannot be ruled out. Guyana has had a history of granting huge tax concessions. This practice was notorious under the rule of the People’s Progressive Party/Civic government. Of course, it is a practice around the world for investors to be granted concessions. But the level of concessions usually matches the benefits that the country is expected to receive. Assessments are usually done in this regard. But that is not usually the case in Guyana. There has since been proof in some cases that companies imported items that had nothing to do with the projects they proposed. 3 CommentsMinister of Natural Resources and the Environment, Raphael Trotman. Leader of the Opposition, Bharrat Jagdeo. 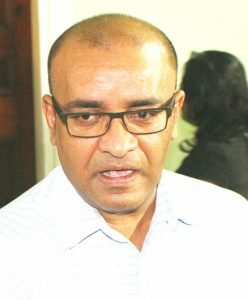 Jagdeo also stated that it always raises concern when Ministers or politicians involve themselves in negotiations with companies, particularly oil companies. Such engagements he added, lead to politicians selling out national interest. Generation and migration of hydrocarbons in the Maracaibo basin, Venezuela: An integrated basin study. Published in Advances in Organic Geochemistry, 1985, Part I, Petroleum Geochemistry – Proceedings of the 12th International Meeting on Organic Geochemistry. Jülich, Germany, 16-20 september 1985. Page 261 – 280. A landmark publication, novel in 1985. Integrating all previous studies, done by the other international companies (pre-nationalisation) and affiliates of Petroleos de Venezuela. With our own new investigations on petroleum geology, generation, migration, well and basin modelling; organic geochemistry, biomarkers, steranes, terpanes, demethylated hopanes C29; oil-oil, oil-source rock correlations and exploration and production. It was based of 2 years of applied research. And has evolved into a classic reference on Maracaibo Basin, with a very high citation index. Our scientific guide and friend during this study was prof.dr. John M.Hunt (1919-2005) from Woods Hole Oceanographic Institution, Massachusetts, M.I.T., USA. Pioneer and writer of the classic reference textbooks Petroleum Geochemistry and Geology, 1979 and 1996. Our study, article and findings on generation, migration and accumulation were also used and included in his 1996 updated book. ” This looks and it also weighs as a very fat Ph.D. thesis, to revise ” was your first astonished remark. ” John, no problem, we will book you another week in your favourite Tamanaco hotel, we replied “, somewhat ashamed. For sculpturing, brainwashing and transforming our mindsets into integrated petroleum explorationists – basin modellers – organic geochemistry professionals: becoming better explorationists. The history of hydrocarbon generation and migration in the Maracaibo Basin, Venezuela, is closely related to its stratigraphic, structural and tectonic evolution during the Cretaceous and Cenozoic times. Geochemical evaluation of the possible source rocks within the Cretaceous and the Tertiary sequences indicates that the argillaceous limestones and calcareous shales of the La Luna Formation (Cenomanian-Coniacian) are the most important source rocks in the basin. These rocks contain organic carbon ranging from 1.5 to 9.6% (c. original TOC 2.5–10.8%), have fluorescent amorphous marine, type II organic matter (oil prone) and have in the immature stage a H-index of 700 mg HC/g TOC and a H/C ratio of 1.5. The beginning of the oil window in these rocks occurs at a relatively low thermal maturity (Lopatin TTI about 10) and the peak of oil generation corresponds to a TTI value of 35. Geochemistry of oils from the different reservoirs (Cretaceous, Paleocene, Eocene and Miocene beds), and oil-oil and oil-source rock correlation studies based on biomarkers have identified three genetic types of oil in the basin: a marine type essentially derived from the La Luna source, a terrestrial type possibly originating either from the Cretaceous Lisure shales or the Paleocene shales, and a third type derived from the mixing of the first two types. The marine type oil is distributed extensively throughout the basin whereas the terrestrial as well as the mixed marine and terrestrial types are found only in the southwestern part of the basin. The marine type oils have been further subdivided based on their alteration and maturity. Reconstruction of the hydrocarbon generating areas at different geological times using TTI-maturity diagrams indicates that the generation of oil and gas in the basin took place during two periods; the first phase occured during the Middle to Upper Eocene times in the northeastern part of the basin, while the second phase occured during the Upper Miocene to Recent times in the central, western and southern parts of the basin. Based on organic geochemical and sedimentological characteristics, it is proposed that primary migration of oil from the La Luna source rocks took place by expulsion of hydrocarbons through abundant microfractures developed by the pore fluid overpressure during hydrocarbon generation. Mass balance considerations suggest that the expulsion probably occurred as a hydrocarbon single phase and the expulsion efficiency for oil in La Luna source rocks should have been very high (30–50%). Taking into consideration the development of oil and gas kitchens through time, the paleostructures at the time of hydrocarbon generation, and the characteristics of oils, the migration history of the oil and gas generated from the La Luna source has been outlined. Mixing of oils, derived at different times (Eocene and Miocene-Recent) from the La Luna source of different areas, appeared to have taken place in Block IV, Block 11, Lago-Lamar, Motatan and Bolivar Coastal fields. 1.1 ” Birth Announcement ” of a Massive Oil Region: on behalf of ” Guyana Basin “. 3. Tullow Shares Dip, post-mortem Araku, 6 nov. 2017. When I served Staatsolie as an exploration consultant in Paramaribo, for offshore Suriname I had the privilege to study and promote this promising prospective area to Tullow Oil. The PSC was diligently negotiated and signed. Araku area and prospect was also one of my own favourites. My educated guess is that Araku could have been the first giant oil discovery offshore Suriname (P.D. Resulted to be a bone dry hole). In december 2009 I presented ” New Outlook for the Suriname NW Offshore ” in a congress in Trinidad (Energy Caribbean 2009 Conference, Trinidad, 7-8 December 2009). With the whole gamut of leads, prospects, play types, basins, in tandem with the newly designed license areas. This as a sound, comprehensive, integrated scientific subsurface and business development playground basis. To promote the high prospectivity of offshore Suriname. As part of the strategy and continuous effort of Staatsolie since decades ago. I had the great honour to serve Staatsolie for an extended period. Herewith also obtaining the opportunity to contribute to Suriname. Sranankondre in Sranan Tongo. Where (part of) the roots and history of my grandparents, parents, family and also mine are located (see: https://mar-petroleumexplorationconsultant.com/5-tower-babel-vs-privilige-multi-lingual-multi-cultural-global-citizen/). The presentation was based on my own grounded re-interpretation, re-evaluation and integration of all previous subsurface reports and information of the multinationals. Resulting in a whole both new and positive outlook on the petroleum potential of NW offshore. My own point of view. Novel and repetitive high impact leads, traps, prospects, play types, mini- and Jurassic basins were unveiled, mapped and highlighted. The presentation and its content, fortunately was rated by the attendees as excellent (to brilliant). Guiana-Suriname Basin – Play Concept & Petroleum Habitat – 2009 – Own acryl painting of Berbice Canyon with shelf and deepwater fan plays – Such as 6 years later uncovered by ExxonMobil 9 giant discoveries of post 2015 – Paintings, of my wife, presented during art exhibition, april 2010, Paramaribo, Suriname at Embassy/Consulate of Venezuela. In-house Staatsolie and previous to the negotiations we had already analysed, determined and fenced the level playing landscape with the boundaries for the PSC clauses and work program we wished to obtain. This within others based on the size of the prospects and an accompanying valuation and cash flow modelling of the expected petroleum volumes of the prospects and license area. The present day licensed area covers also part of the north-eastern area. The Demerara High (some 40,000 km2), since long forgotten and mainly neglected because of 4 dry holes. Such as well Demerara A2-1 drilled 39 years ago, in 1978. Following my interpretation of the petroleum potential of the Demerara High (that incorporates a Jurassic basin and probably also Carboniferous sediments, inverted in Albian time) with the old 2D available, I created awareness, promoted and presented it in Staatsolie to the BOED. To obtain a budget for a modern 2dD survey. Following I designed the specifics for the acquisition area and program and for the processing sequence. This was later acquired and executed. It is now an authentic joy to see that almost the whole area, promoted since 9 years ago in Trinidad, is now under license covered by 12 IOC’s and covering more than half of the offshore area of 180,000 square km. Covered by some 65,000 km of 2D and 17,000 square km of 3D (as of July 2013). This thanks to the diligent, intelligent, continual updating, upgrading and pro-active promotion of offshore, by the very competitive group of professionals and specialists in Staatsolie. A real big achievement. Congrats. Fersteri ! Based on the unique petroleum system(s) in this basin, one can only be convinced that the Guyana Basin is an awakening oil giant. Clearly evidenced, first in 1965 by the onshore giant Tambaredjo Oil field. Fifty years later followed by the recent giant elephant discoveries of ExxonMobil in nearby Guyana. 1.1)” Birth Announcement ” of a Massive Oil Region:on behalf of ” Guyana Basin “. Father: Geological and Mining Service, GMD (ir. Hugo Coleridge, discoverer). Paleocene, Saramacca Fm. sands at a depth of 150 – 425 metres. Also in Miocene, Coesewijne Fm. sands. Mother: Canje Formation, U-Cretaceous, Cenomanian source rock (extended Tethys Ocean, Continental Margin family of La Luna, Querecual and Naparima Hill formations). Place: Tambaredjo, Calcutta, Saramacca district, Suriname. A. Tambaredjo oil is not lazy or obtuse at all. The newly born and expelled petroleum at a young age already managed to travel (migrate) all alone. Using only its genetic buoyancy instinct. As navigator in the dark, unknown subsurface. Covering a super long distance (ca. 200 km – ” Olympic Gold Medal, Neogene-Long-Distance-Walking “) while pro-actively searching for a suitable home (reservoir). That could provide a safe, leakproof roof (Paleocene shale) and spacious, interconnected pores as confortable habitat. Finally well-received in the fluvial-deltaic Palaeocene T-sands and Miocene Coesewijne, in the most up-dip part of the basin. The ultimate spot, where nowadays one would dare to wildcat with a first oil well. As a most sophisticated and learned digital explorationist. With all the present day information available on the workstation. In the prolific Guyana Basin. A most adventurous migration history, still unlocked and untold by Mr. Tambaredjo. When and who did you visit since you left the kitchen of mother Canje Fm.? Where did you temporarily camp on route? Which stratigraphic fairways and tectonic shortcuts did you take? Who in addition facilitated your long voyage. How much weight did you gain (lose), decending from 45 to 16 degrees API and 500-cp, low vanadium and sulphur oil ? Did you earlier split up with your family, if yes, where are they now located. What was the time schedule of your voyage? When did you depart and arrive? Do you represent only one generation or multiple generations? As a migrant, from – 5000 m. to -180 m.? Before obtaining definite shelter. Voyaging from mother’s Canje Formation kitchen deep offshore towards Palaeocene T-sands. Migration history easily unveiled ?? Accompanied by splendid migration maps and traffic arrows, indicating the petroleum where to walk. Like a Tom Tom Navigator. Authentic geo-art using all the colours of the rainbow, to make migration and accumulation more pleasant. BasinMod1D, BasinMod 2D, BasinMod3D, MigriX, IFE-MIG3D-BAS, ZetaWare Trinity, PetroMod, Temis2D, Temis3D, TemisFlow, CougarFlow, OilTracers, Charge Risk, Gussow fill-spill, In-Reservoir Alteration, Biodegradation, Biomarkers. Do not forget to analyse why the provided pre-drill “truth” unfortunately proved to be “false”, post-drill and post-mortem. After drilling the bone and astonishing bone dry, some 200 million US$ hole(s). Without a single ppm of petroleum. The mud loggers and mud logging unit had a most boring time. Such as in…..guess which one(s). Where myself I was happy to learn the best lessons in my career. This as I have been in charge of having to write and present them for more than a decade. A close look in the mirror. This time without make-up, without tricks and treats. ” High impact discovery well to-be ” ? B. Discovered by accident while prospecting for water (….very sorry about that big mistake….). C. Carrying out a water-drilling project to supply water to a nearby school and village (….our sincere excuses…but…unfortunately we found a giant oilfield….instead of the clean and abundant water we promised you all for your little school in Tambaredjo village). D. I am in production since 1982. About 115 MMbo produced from 3 oil fields, 87 MMbo remaining reserves, 17,000 bopd production currently. E. I do have an intrinsic preference for structural basement highs and additional structural elements. The Calcutta Uplift and the E-W Tambaredjo, NE-SW Broederschap, NE-SW Weg near Zee major fault systems. Basement-rooted (and Cretaceous-post-Albian inversion originated) faults that terminate in the Eocene and Miocene. F. In the offshore area: Find out by yourself. I do not reveal all my secrets so easily. Exploration tip and discovery moral ?? So now and then, dare to drill pro-actively for water, if you wish to find oil (elephants). As a matter of fact one most often pro-actively explores for oil, and finds only water (euphemistically called “technical discovery wells”, the proof for existence of reservoir rocks). Birth of its second and third giant fields was announced by the arrival of Guyanese twin-sisters Liza and Payara. In 2015 and 2017. The continuing story will most certainly involve many, many more giant discoveries in the near future. Brothers, sisters, cousins and nephews of Mr. Tambaredjo, Mrs. Liza and Mrs. Payara. Such as also in switi Sranankondre. Guyana Basin, Awakened in 1965. Since 2015, 50 years later, accelerating and entering a new, prosperous and exiting booming petroleum cycle. Srananman, ala mala pasensi, nog ff, next december ? Bigi pokoe en kaseko op Vrijheidsplein, wowww ! Waarde neef Errol, fa waka? Begin s.v.p. alvast een mooi olie ontdekkingsliedje te componeren. In Sranantongo. Kaseko style. En reserveer ook een datum voor de primeur tijdens het optreden met je gezellige band. Let me know. Thx in advance. Het grote oliefonds waar u het over heeft in uw email. Dat ik u indertijd in 2009 had voorspeld, de olie ? Terwijl het gras groeit sterft het paard, schrijft u zo vrolijk ? Die olie komt zoals eerder beloofd nu wel heel spoedig. Maar alles eerst keurig op een rijtje. Eerst de grote olie Vondst. Daarna het grote olie Fonds (….oliefonds, waar u het over heeft). All-In, All-2-You, dus met al het goede en ook de verhoogde AOW, die erbij hoort. Voor ala Sranansma na switi Sranankondre. Ik ben slechts een hele simpele exploratie petroleum geoloog. Die voortdurend snuffelt naar olie, al 40 jaar lang, op 4 continenten. Dus wat ik zeg, schrijf en beweer is niet zomaar uit de lucht gegrepen. Niet gegrepen uit de hedendaagse iCloud. Maar gelukkig gebaseerd op grondige bestudering en op feiten. Die reuze olie vondst in Sranankondre is zeer zeker op komst. Ik hoop dat in december ala Sranansma bigi pokoe en kaseko kunnen gaan dansen*. Ala sma. Zelfs die met bigifutu. De bigisma, de bigiman’s, de bigitaki’s, de bigifisi’s, de bigifasi’s, de bigimemre’s, de bigidoin’s, de bigidagu’s, de bigi-ai’s, vooral de bigi taki’s. Gezamenlijk en gebroederlijk met de bigi-popokaisneki, bigitodo, bigi-watradagu, op bigibigi dei. Op het Vrijheids plein. Voormalig Gouverneurs plein. Op de pier van Torarica. En tevens op Bigiwowoyo. Zet uw kotomisi maar alvast klaar. Voor de bigi konfriyari, fesadei en opo opo fesa. Om de olie ontdekking te vieren. Suriname, Sranankondre. Bun furu. A no spotu….Moro mofo. Made in Sranankondre, by Canje Formation. Overigens, Guyana ? Poti sma ?? Zoals men aldaar pleegde te zeggen over de naaste buren ?? Tachtig (80) miljard US$ gross is Guyana’s recente reuze olie vondst waard. Tachtig maal het jaar budget waar de Surinaamse regering en haar ministeries over beschikken voor switi Sranan, per jaar. Binnenkort, nog ff pasensi tangitangi. Poti sma nanga poti Kondre?? Brief van MCAL aan zijn lieve, oude tante na switi Sranan Kondre. Africa-focused Tullow Oil is stepping up its plans offshore South America after divesting interests in its Norwegian assets and exiting other areas. The London-based E&P, which operates the TEN fields and its flagship Jubilee Field offshore Ghana, said it plans to drill the Araku prospect offshore Suriname, the smallest country in South America, in second-half 2017. Tullow is among the oil and gas companies that have kept some new frontiers in their exploration schemes, despite unfavorable market conditions that caused many to slow exploration spending. In 2016, Tullow halted frontier exploration efforts in Ethiopia, French Guiana, Greenland, Guinea, Madagascar and Norway. With more than 25 exploration wells drilled offshore, Suriname has been described by state oil company Staatsolie as “virtually underexplored.” Commercial production has only come from onshore fields, which together produce about 17,000 barrels per day (bbl/d) of oil. Tullow has interests in two licenses offshore Suriname covering a total of 10,849 sq km (4,189 sq miles). These include Block 54, where the Araku prospect is located, and the nearby Block 47. A drop core survey spanning the blocks was completed last year. The company has said its Jubilee play could expand from West Africa across the Atlantic Ocean to Block 47. That was the case for Tullow offshore French Guiana, where the Zaedyus exploration well hit oil in two turbidite fans five years ago. At the time, Tullow said the objective of the well was to test whether the Jubilee play was mirrored on the other side of the Atlantic. Although the oil discovery offshore French Guiana opened a new hydrocarbon basin and helped lower exploration risks in nearby Suriname and Guyana, Tullow eventually shifted focus to Suriname after an unsuccessful drilling campaign in 2013. Other Suriname players include Apache Corp. (NYSE: APC), Cepsa, Chevron Corp. (NYSE: CVX), DEA, Kosmos Energy, Noble Energy Inc. (NYSE: NBL), Petronas, Statoil ASA (NYSE: STO) and Staatsolie, which has invited others to farm in to blocks B and C—both located closer to the shoreline in water depths of up to 30 m offshore Suriname. Citing a 2012 U.S. Geological Survey report, Staatsolie said the Guyana-Suriname Basin has an estimated resource potential of 13.6 Bbbl, placing it among the world’s largest basins in terms of prospectivity. Many are already closely watching activity west of Suriname–offshore Guyana–where ExxonMobil’s exploration work in the Stabroek Block has pointed to recoverable resources of more than 1 Bboe. Tullow, which has interest in two licenses offshore Ghana, said it plans to acquire 3-D seismic data over the offshore Orinduik license, which is updip of ExxonMobil’s Liza oil discovery. In addition, Tullow said it plans to acquire another 680 km (423 miles) of 2-D seismic data offshore Jamaica. This follows the completion of a drop core and seep study in the Walton Morant blocks, which identified a live oil seep, the company said. While the company works to build its exploration portfolio, it is still coping with the downturn’s aftermath. Tullow reported an operating loss of $754.7 million for 2016, down 31% from 2015’s loss of $1.09 billion. The company’s exploration write-offs totaled $723 million in 2016. Lower oil prices hit revenue, which dropped 21% to about $1.3 billion, despite bringing the TEN fields into production. Working interest production was down 9% for the year, averaging 67,100 boe/d. “The impact of first oil from the TEN fields was offset by reduced production from the Jubilee Field as a result of the Turret Remediation Project, declines in U.K. and Netherlands gas production, as well as reductions across the nonoperated West Africa portfolio,” Tullow said. The company reported capital investment of about $900 billion in 2016, mostly for development activities in Africa. “2016 is likely to mark the low tide point for Tullow, with production set to increase in 2017 into a rising oil price environment,” Mirabaud Securities analysts said in a Reuters article. The analysts added that Tullow should be able to reduce its debt pile, which increased to $4.78 billion by year-end 2016 up from $4.02 billion, primarily due to TEN expenses. Moving forward, Tullow said it intends to control capex, dropping spend to $500 million in 2017 from $900 million last year. Exploration and appraisal spending will be limited to about $125 million. 2) Tullow Shares Dip, post-mortem Araku, 6 nov. 2017. France bans petroleum exploration in Guyana – Mr. N. Hulot and Mr. A. Schwarzenegger on photo. France to ban all new oil and gas exploration in renewable energy drive. ‘Ecological transition’ minister says law will be passed later this year. From: The Independent Online, 23th June, 2017. In one way or the other, Guyana has certainly paid the price for its ignorance. It has paid the price for its failure to conduct due diligence on several companies, for its failure to monitor the operations of entities; for its failure to craft air-tight contracts/agreements which can safeguard the nation against the abusive and greedy nature of some mega-corporations. It has paid for failing to learn from the mistakes of other nations. With such a wealth of experience in making all the wrong moves for one reason or the other, Guyanese are in their right to ask themselves a most salient question when facing an oil giant like ExxonMobil: CAN THEY BE TRUSTED? In recent weeks, Kaieteur News embarked on a series of articles which served to enlighten the citizenry on all they need to know about a company with which Guyana is going to sign a life changing contract. Through detailed research, this publication has presented the facts on how ExxonMobil seems to have a pattern of entering weak nations with non-transparent governments. All are rich in oil but their people are still no better off today. It was also exposed how ExxonMobil has a history of underpaying royalties in territories it operates. Its own mother country, the United States, was no exception from this type of behaviour. In this installment Kaieteur News will show how ExxonMobil is now facing several lawsuits, including one for allegedly deceiving its shareholders in the US. ExxonMobil was forced to be more frank with its shareholders regarding the effect climate change will have on the operations and profitability of the company. The report by the Guardian notes that Climate Change poses a real threat to the sustainability and the manner in which ExxonMobil will continue to operate its business in the future. Climate Change, the article notes, is a “material financial threat” for ExxonMobil. But that is not all. ExxonMobil is currently under investigation by the Offices of the New York Attorney General and Massachusetts for being deceitful about climate change, something the company, of course, has denied. According to the www.nytimes.com, (https://www.nytimes.com/2015/11/06/science/exxon-mobil-under-investigation-in-new-york-over-climate-statements.html) , an investigation is being carried out to determine whether the company has been truthful to the public on the issue of climate change or if it deceived its investors about the impact the challenging issue can have on the business. Attorney General Eric T. Schneiderman issued a subpoena to Exxon Mobil, for extensive financial records, emails and other documents that would be helpful to the investigation, the NY Times reported. In short, ExxonMobil was actually paying lobbyists to deny the impact of climate change. ExxonMobil has been accused over the years of funding certain groups and government officials/parties to promote disinformation about the effects of climate change. It has of course denied this to the end, but the media reports on this matter are overwhelming. In addition to the aforementioned, civil proceedings have been filed against ExxonMobil by some of its own shareholders who feel deceived by the company regarding the truth about climate change and the toll it will take on the business’s fortunes as most nations are being encouraged to move in the direction of cleaner sources of energy. According to www.insideclimatenews.org. (https://insideclimatenews.org/news/18112016/exxon-climate-change-research-oil-reserves-stranded-assets-lawsuit), the deception by ExxonMobil led to the investors paying inflated prices for Exxon stock and subjected them to financial losses because the company knew the value of its oil reserves was less than what it was telling investors. This was also noted in the lawsuit which was filed in a Texas federal court this year. (see link for full lawsuit: https://www.documentcloud.org/documents/3215695-Class-Action-Exxon-Complaint.html) . In the court action, the plaintiff is calling for compensation for all damages sustained as a result of the defendant’s wrongdoing, in an amount to be proven at trial, including interest thereon. Adding to ExxonMobil’s climate change woes, is the fact that even the Security Exchange Council (SEC) has also launched an investigation in an effort to ascertain if the oil king has been completely honest with investors about climate risks and accounting issues concerning its reserves. With the aforementioned in mind, it would not be irrational for Guyanese to urge Government officials to be wary of the nature of the oil king it is dealing with and to act cautiously. It would not be unreasonable for Guyanese to urge the Government to monitor the operations of the entity; to craft an air-tight contract/agreement that will safeguard the nation against the abusive and greedy nature of this mega-corporation. It would not be unreasonable to call on the Government to learn from the painful and irreversible mistakes made by other nations. Failure to do so, would surely lead the nation into a position where 10 years later, it would be worse off than it is today. The Liza Phase 1 development continues to rapidly progress, with the commencement of development drilling offshore Guyana. Development drilling began in May for the first of 17 wells planned for Phase 1, laying the foundation for production startup in 2020. Liza Phase 1 is expected to generate over $7 billion in royalty and profit oil revenues for Guyana over the life of the project. Additional benefits will accrue from other development projects now being planned. The release said that ExxonMobil is currently making plans to add a second exploration vessel offshore Guyana in addition to the Stena Carron drillship, bringing its total number of drillships on the Stabroek Block to three. The new vessel will operate in parallel to the Stena Carron to explore the block’s numerous high-value prospects. The release said that the Noble Bob Douglas is completing initial stages of development drilling for Liza Phase 1, for which ExxonMobil announced a funding decision in 2017. Phase 1 will comprise 17 wells connected to a floating production, storage and offloading (FPSO) vessel designed to produce up to 120,000 barrels of oil per day. First oil is expected in early 2020. Phase 2 concepts are similar to Phase 1 and involve a second FPSO with production capacity of 220,000 barrels per day. A third development, Payara, is planned to follow Liza Phase 2. 500,000 bpd forecast based on production from Liza, Payara and Pacora. Oil production forecast 500,000 + bbls/day. Oil production in Guyana is expected to surpass the 500,000 barrels per day mark by the end of the next decade based on production from several offshore developments. ExxonMobil Corp. has made a final investment decision on the first phase of development for Liza field 190 km offshore Guyana. The company also reported results from the Liza-4 well, which the firm said encountered more than 197 ft of high-quality, oil-bearing sandstone reservoirs and will underpin a potential Liza Phase 2 development. Gross recoverable resources for the 6-million-acre Stabroek block are now estimated at 2-2.5 billion boe, including Liza and the Liza Deep, Payara, and Snoek exploration wells (OGJ Online, Mar. 30, 2017). The Liza Phase 1 development includes a subsea production system and a floating production, storage, and offloading vessel designed to produce as much as 120,000 b/d of oil. The FPSO contract was let to SBM Offshore NV late last year (OGJ Online, Dec. 20, 2016). Liza field lies in 1,500-1,900 m of water. Four drill centers are envisioned with a total of 17 wells, including 8 production wells, 6 water-injection wells, and 3 gas-injection wells. ExxonMobil last month let an engineering, procurement, construction, and installation contract to Saipem SPA for work on risers, flow lines, and associated structures and jumpers (OGJ Online, May 10, 2017). The contract also includes transportation and installation of umbilicals, manifolds, and foundations for production as well as water and gas injection systems. Production is expected to begin by 2020, less than 5 years after discovery of the field. Phase 1 is expected to cost just more than $4.4 billion, which includes a lease capitalization cost of $1.2 billion for the FPSO facility, and will develop 450 million bbl of oil. ExxonMobil submitted an application for a production license and its initial development plan for Liza field in early December. The development has received regulatory approval from the government of Guyana. Esso Exploration & Production Guyana Ltd. is operator with 45% interest. Hess Guyana Exploration Ltd. has 30% and CNOOC Nexen Petroleum Guyana Ltd. 25%. Esso E&P Guyana also operates Canje and Kaieteur blocks offshore Guyana. Drilling of the Payara-2 well on Stabroek is expected to commence in late June and will also test a deeper prospect underlying the Payara oil discovery.